The other week, I was inspired to start a new crochet project. Attic 24 was the source of my inspiration. 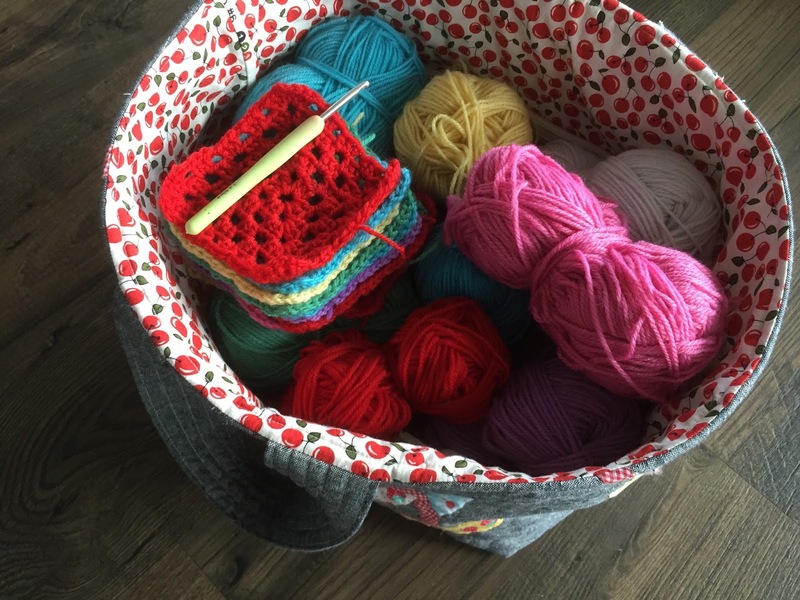 Honestly, Lucy's blog is just the perfect place to visit for crochet inspiration. Her projects and photographs are always super bright and happy and as a newbie to this world of yarn and crochet, I've found her posts to be a wonderful place to learn. Quick, go check out her blog. You won't be disappointed. So my new project is perfect for using up left over yarn. 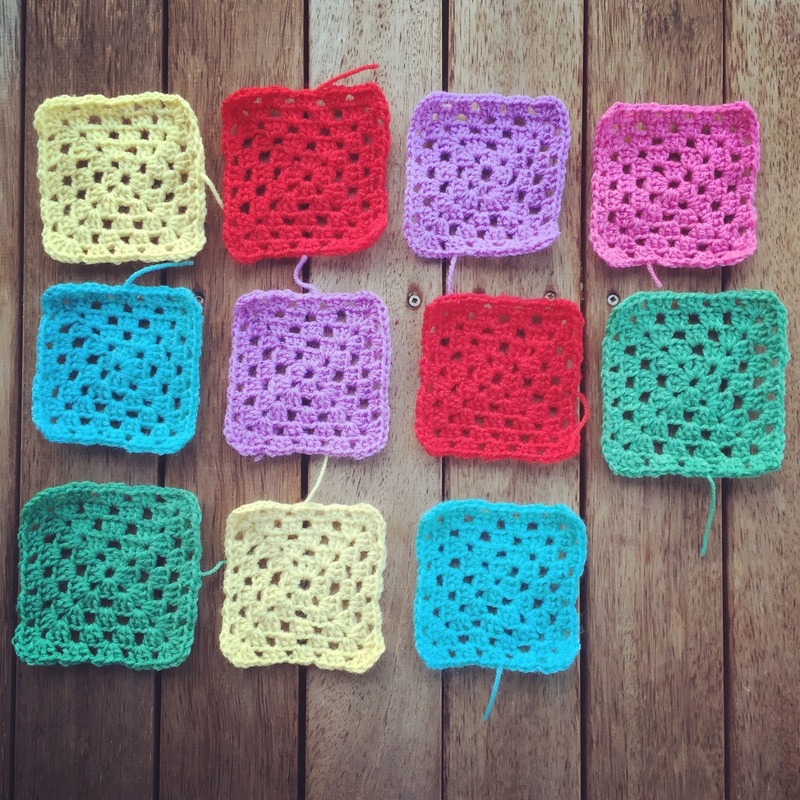 Bits of yarn, a 4.5mm hook (I think the tutorial is for a 4.0mm hook) and creating some very simple single colour granny squares. The tutorial is right here on the Attic 24 blog with great step by step instructions. I find that it takes me around 20 minutes to crochet each square, so I take some yarn and a hook to my kids after school activities and finish 2 of these easily in that time (along with chatting with other waiting mums). I thought it could be fun to sew a specific colour for a specific activity (ie soccer, dancing, karate, swimming etc). That way, each activity would be represented in the blanket and I can work out how much of my life I've dedicated to my kids individual pursuits. Or is that just a little bit too weird? Thanks Shez, I'm always crafting when I have spare moment.